This hearty, harmless, and adaptable species of Flower Fly can be found all across North America and even into Central America. Predators like birds and other insects think twice before trying to claim S. ribesii as a meal. This Flower Fly can hover like a wasp, whose stinging defense is so painful predators tend to move on instead of attack. 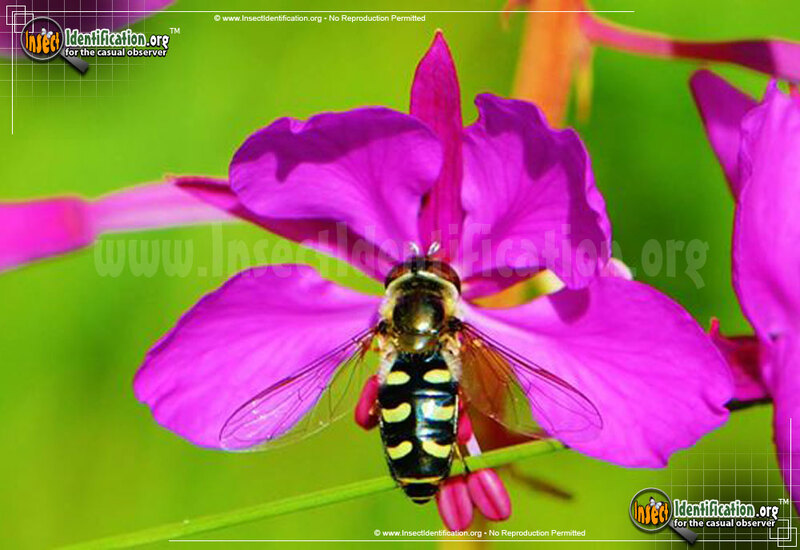 The Flower Fly's mimicry is so good, even humans have to give it a second or third look, just to be sure. Like all Flower Flies, S. ribesii does not sting. It offers double benefits to gardeners in that it is both a great pollinator and its larvae feed on aphids, those pesky, small, plant-sucking insects that can infest vegetable and fruit plants. Look for the quiet Flower Fly in the summer around blooms in gardens, parks, and meadows.